I love bananas!!! I don't know if I've shared that with you before, but I really do love them. Infact, we almost always have bananas in the house. 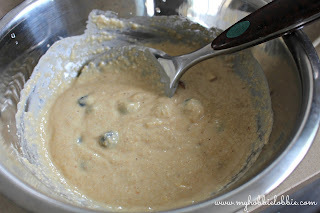 Up until now, every time I was left with a couple of over ripe bananas, I would either make some banana bread or banana fritters (I must share that with you sometime soon). And trust me, I love both the banana bread and fritters. But sometimes its nice to switch it up. Last week I had 2 over ripe bananas and its been so hot, I had no intention of switching the oven on to make the banana bread. I kept putting off the tea-time fritters and yesterday I decided I had to use the bananas and if I left them anymore, I'd probably have to throw them out. I hate wasting food so that was out of the question. The plan that morning was to make some oatmeal for breakfast, but then it struck me I could use the bananas with the oats and do something with that. I remember a while ago, coming across a banana oat pancake recipe and decided to try it out. Now, those of you who've been visiting for a while know I love my pancakes. So what could be better than combining my love for bananas and pancakes. Nothing much right! So breakfast that morning was sorted. I blitzed the ingredients in the blender and added a few fixin's like fresh blueberries and roughly sliced almonds. I think Jamie Oliver would have been happy with me. I really like his philosophy on superfoods. Eat a variety of fresh produce in moderation and everything acts as a superfood. 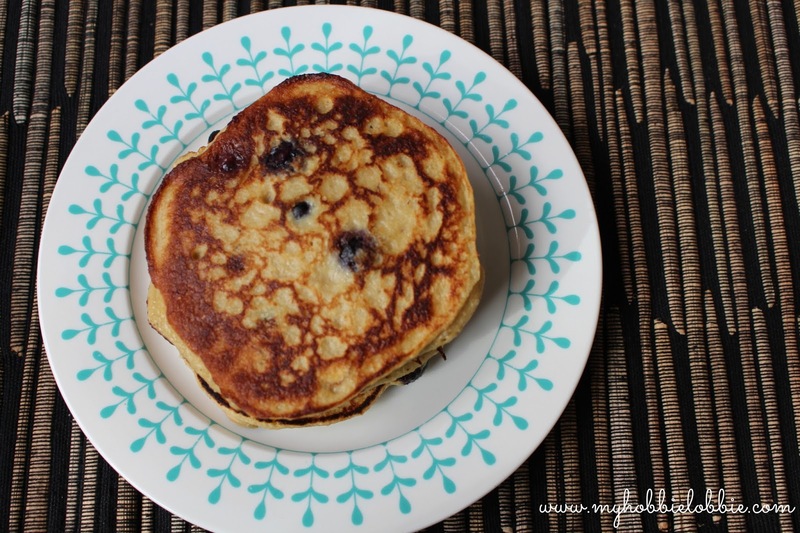 I figure the addition of the berries and almonds would amp up these pancakes to superfood status. I googled a few recipes but in the end just ended up throwing a few things together and I tell you it was great. I was really pleased with how the pancakes turned out. I hope you give these pancakes a try. They deliver taste and health together. Blitz the oats in a blender till you are left with a powder. Add the bananas, eggs, a pinch of salt and the vanilla extract. Blitz till you are left with a nice batter. Scrape the sides down and give it another quick blitz. Pour the batter in a large bowl and add the sliced almonds and blueberries and fold through gently, making sure they are evenly distributed. Heat a little oil in a pan, about half a teaspoon. I use an oil spray to reduce the amount of oil being used. Carefully ladle some batter onto the pan. Cook on medium heat. 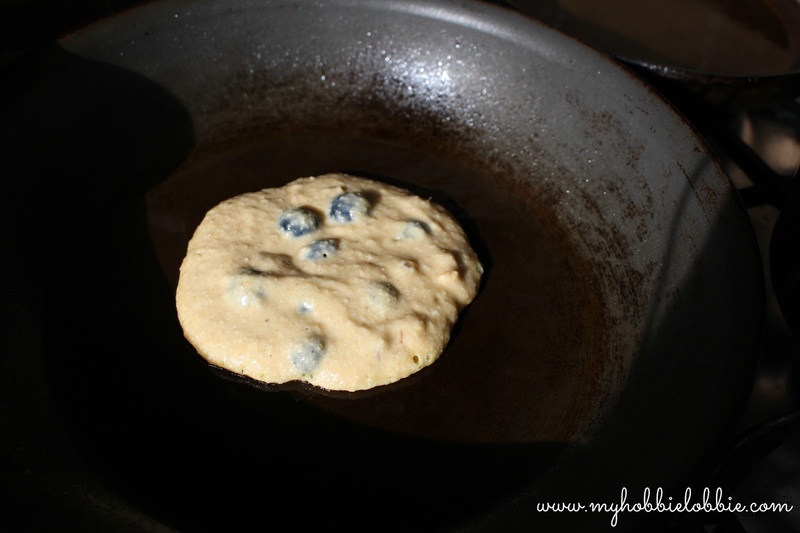 When the bottom edge looks like its getting a little color, gently lift a portion of the pancake. If you are happy with the cooking on that side, flip the pancake and let it cook on the second side too. Repeat with a spray of oil and a ladle of batter for every pancake till you finish the batter. 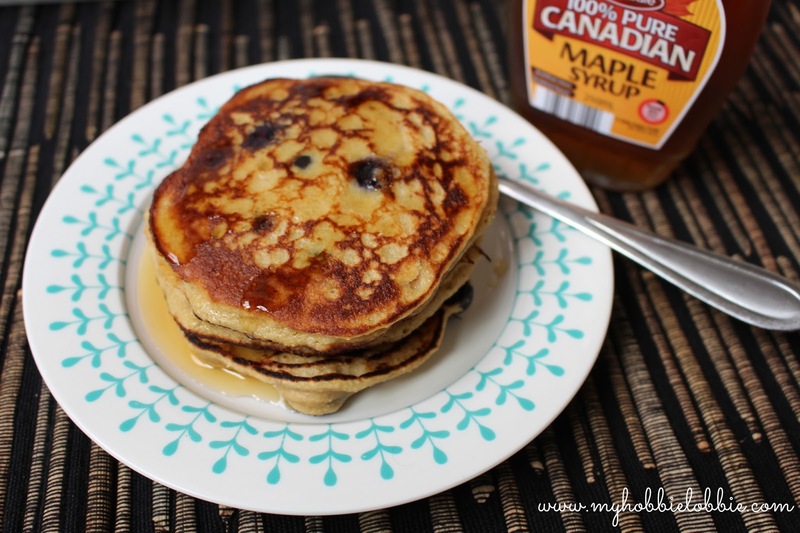 Serve warm with some maple syrup.